Ahh, the Fall season is officially underway! Can you just smell the pumpkin spiced lattes? Fall isn’t just about earth tones and sweater weather, however, it’s also the time of year when our seniors are thinking about their next step after graduation. For those who are considering colleges, an important part of the decision-making process is a college visit. Planning a college visit can be a great way to have a positive outlook on potential schools and help in determining the college a student ultimately chooses. 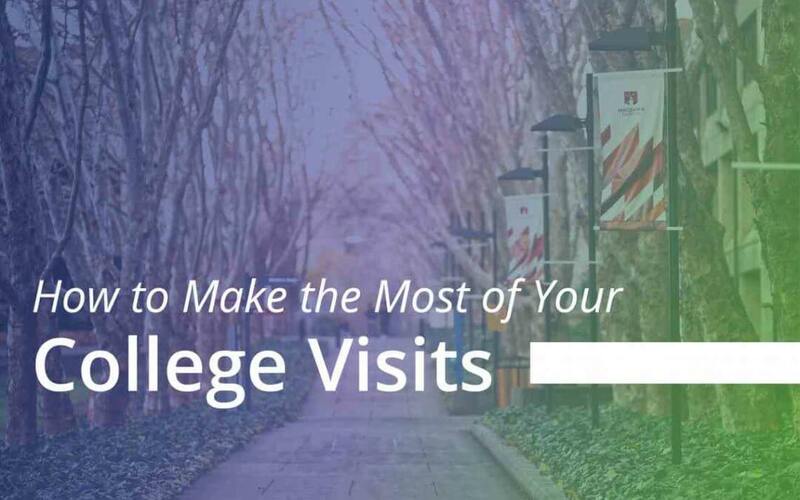 Here are a few simple tips to make your college visit a positive one. Having a list of prospective schools is a great start, but there’s so much more information that is readily available that can make your decision that much easier. According to US News, about 38 percent of students use social media as a resource when making an enrollment decision. Look into things like the size of the campus, school graduation percentages, and take note of any questions you have that were left unanswered by any research you conduct. Come prepared with those questions and use them to get to know both the students and staff you come across on your visit. Many colleges have very informative and well-structured tours offered for potential new students. While we certainly recommend putting your name down for a guided tour, we also highly recommend going out on your own to explore. No matter the size of the campus, there is always more to see beyond the guided tour. If you already have a field of study in mind, spend additional time walking the buildings or sections of campus dedicated to that particular discipline. Another incredible way to experience a potential college is to sit in on a lecture. Many schools offer the option of sitting in on large lecture courses or will have a few professors you can meet with during your visit. When scheduling a tour, inquire about what other options you can investigate. College visits are great ways to get to know a campus and the culture of the schools you’re considering, but many students miss out on utilizing the best resource there, the students! Don’t be shy about introducing yourself to the students at these schools for they very well could be your peers soon! Ask them any burning questions you have about dorm life, culture, events, and anything else you’re curious about. College students likely have some school pride and would be happy to share their experience with you. Likely, the college visits this Fall will be aplenty, and you don’t want to forget the things you liked or disliked during each visit. We recommend taking notes, and you don’t have to walk around with a large notebook or 3-ring binder. Take pictures with your phone and organize them in folders by the schools you’ve visited or add notes to images themselves if your phone has the capability. These photos and notes will come in handy when it comes time to sit down and apply or accept an offer. Visiting colleges is truly essential to making an informed decision and we want you to feel comfortable and confident with whatever decision you end up making. Use these tips to ensure that your college visits go smoothly and more importantly help you choose the best option for you!